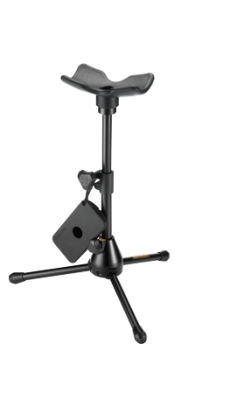 Safely support your tuba or euphonium with the Hercules Performer Stand! • 3-stage adjustable support covered with non-slip rubber to provide the ideal position for both students and professional musicians of all abilities. • Free height adjustment for optimal position setting by choice. • Strong and low profile legs for comfort sitting in limited space situations.